In her first television ad of the 2012 campaign cycle, Republican presidential hopeful Michele Bachmann touts her Iowan roots and reiterates her fiscally conservative values, promising outright not to vote for an increase to the debt ceiling. In the 30-second spot, which runs statewide in Iowa starting Thursday, the Minnesota Representative appears friendly and upbeat as she promises voters "I will not vote to increase the debt ceiling." Cheerful guitar music plays in the background. Citing her background as a mother and a working professional, the second-term lawmaker pledges fiscal reform and touts her economic record. "As a mom of five, a foster parent, and a former tax lawyer, and now a small business job creator, I know that we can't keep spending money that we don't have. That's why I fought against the wasteful bailout; against the stimulus," she says in the video, as the camera pans to family photos. Bachmann, who was born in Iowa (after which the spot, entitled "Waterloo," is named) before moving to Minnesota as a child, also speaks proudly of being "a descendent of generations of Iowans" who was "born and raised in Waterloo." 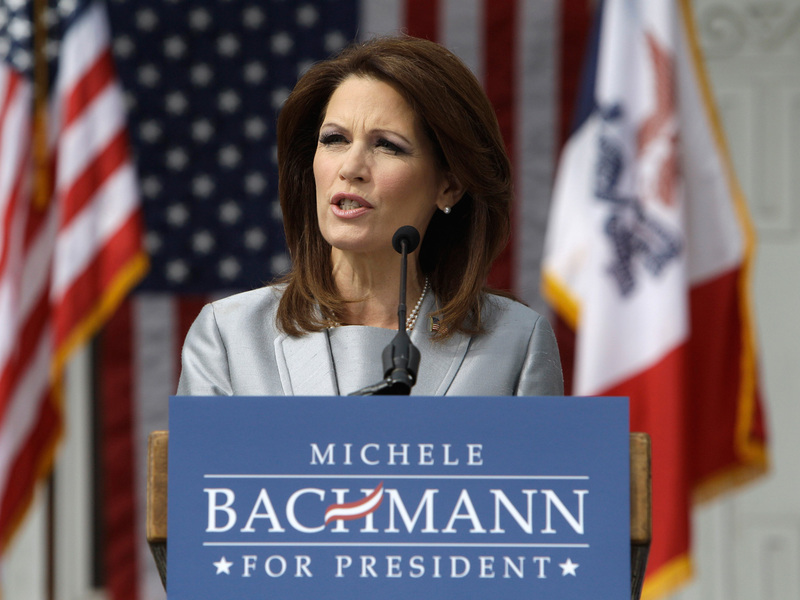 Bachmann is making a push to win Ames Straw Poll next month in Iowa - and a recent poll by the Des Moines Register suggests she may not be far off. The survey, released in late June, put Bachmann in a statistical dead heat with former Massachusetts Governor Mitt Romney, the putative frontrunner.